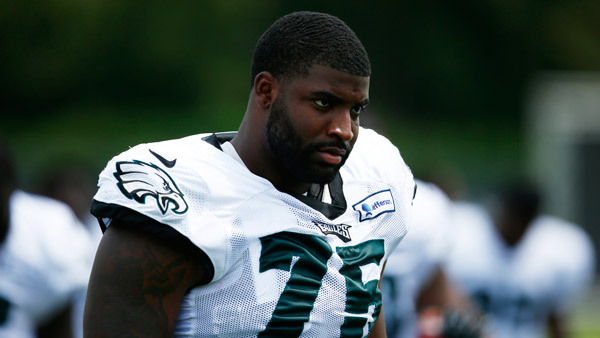 The Philadelphia Eagleshave released defensive end Vinny Curry on Friday in a move that will provide $5 million in cap relief. Curry thanked Eagles fans in an Instagram post Friday. In a statement, the Eagles said, "We want to thank Vinny Curry for his contributions to our organization over the last six seasons, including the important role he played in bringing our city its first Super Bowl championship. It's difficult to part ways with a player like Vinny who has made an impact on the field, in the locker room and in the community. We wish Vinny and his family all the best moving forward." The loss of Curry is offset at least in part by the addition of Michael Bennett, who was acquired from the Seattle Seahawks along with a seventh-round pick for a fifth-rounder and wide receiver Marcus Johnson. He joins a defensive end rotation that currently includes Brandon Graham, Derek Barnett and Chris Long. The Eagles signed Curry to a five-year, $46 million in 2016. He started for the Super Bowl-champion Eagles last season and paced the teams with 41 quarterback hurries but finished the season with just three sacks. Curry, a second-round pick by the Eagles in 2012, has 22 career sacks over seven NFL seasons.